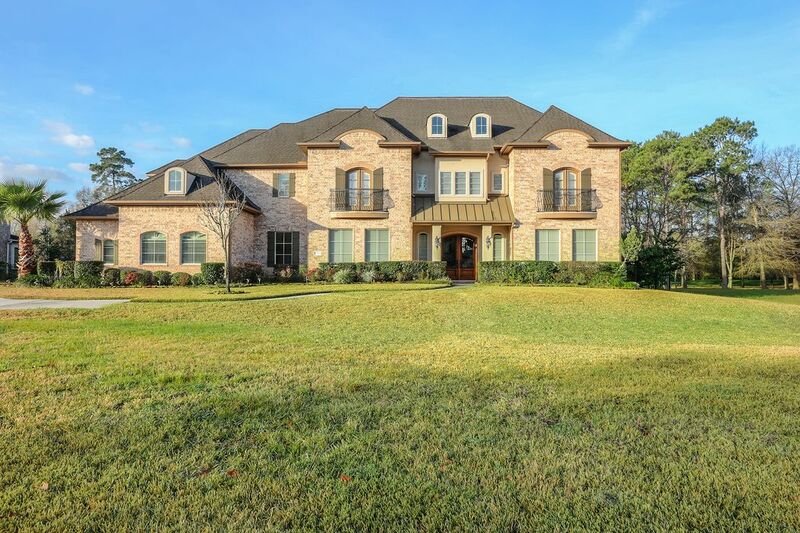 20807 Kings Crown Court, Humble, TX 77346 | Martha Turner Sotheby's International Realty, Inc. 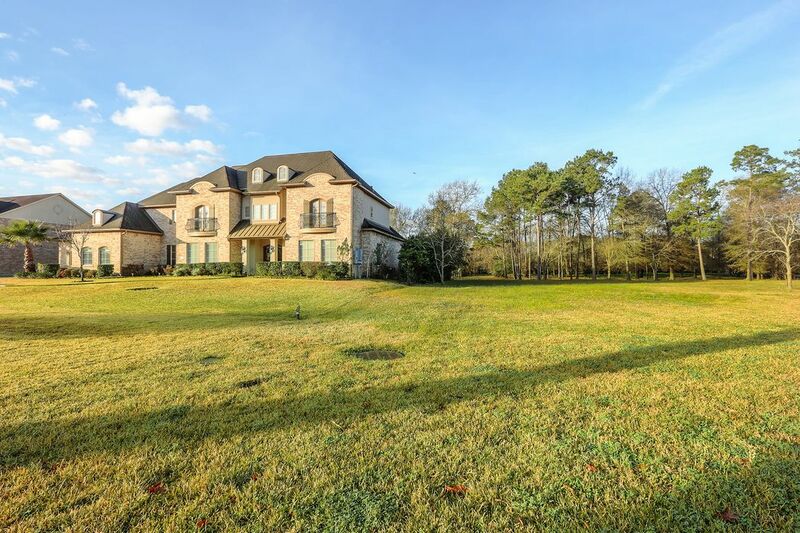 Backs to the golf course and fully fenced. 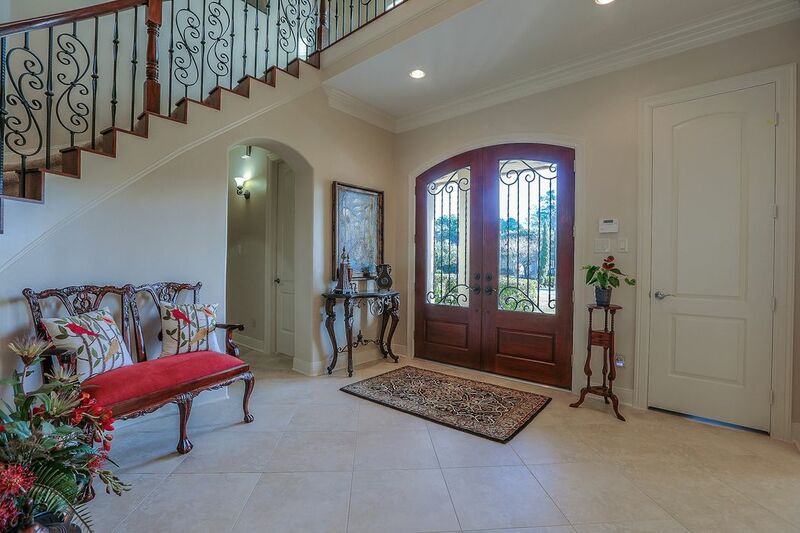 Lovely foyer with double doors and high ceilings. 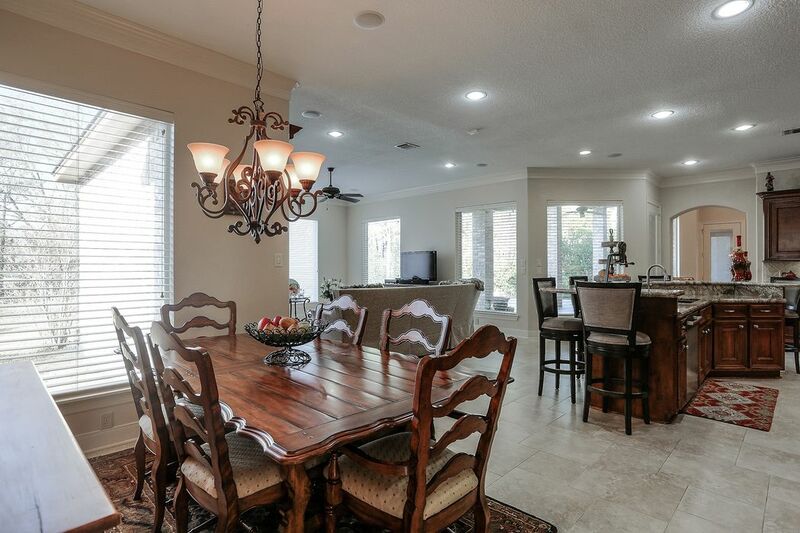 Abundance of natural light with tons of windows. 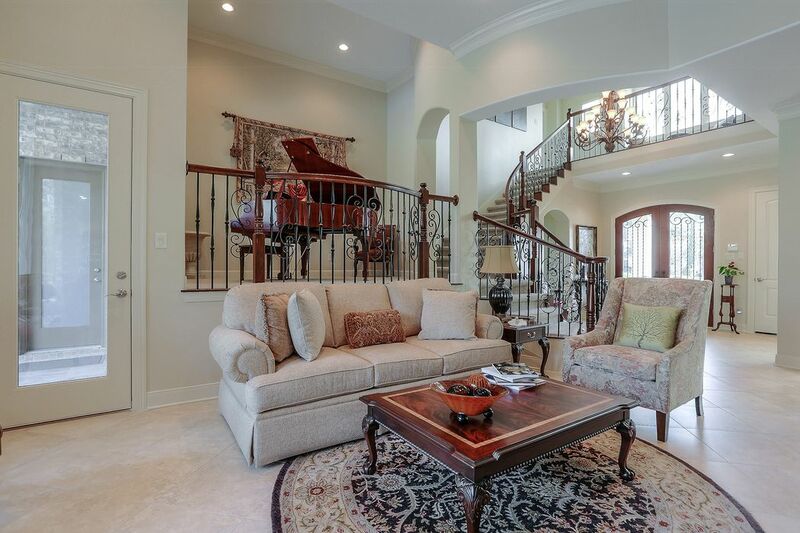 Great room for a piano or flex space adjoining the formal living. 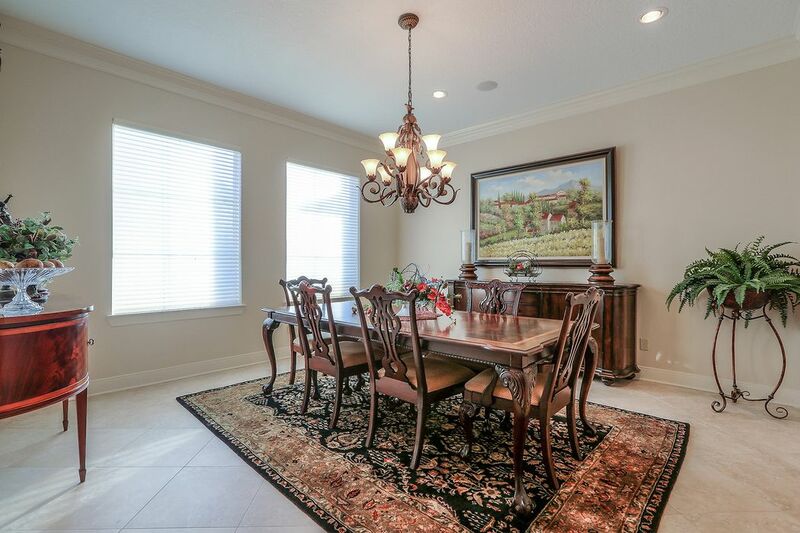 Formal Dining room can accommodate large party. 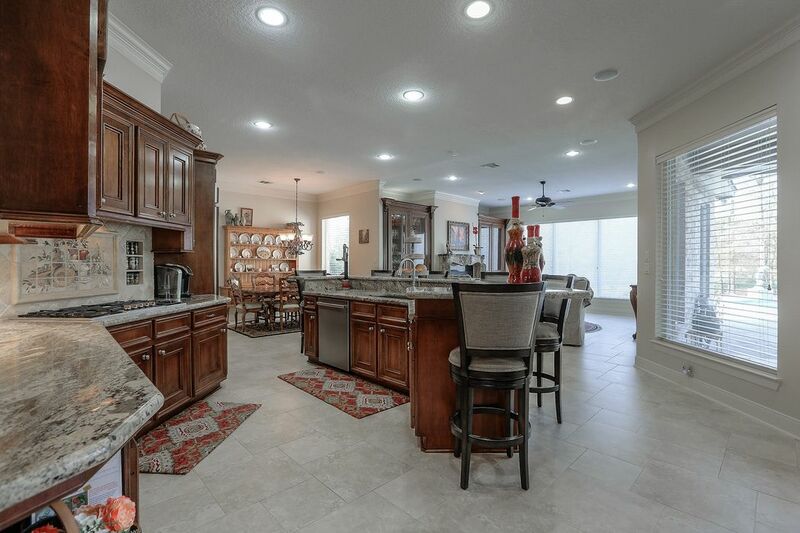 Flowing floorplan is perfect for entertaining. 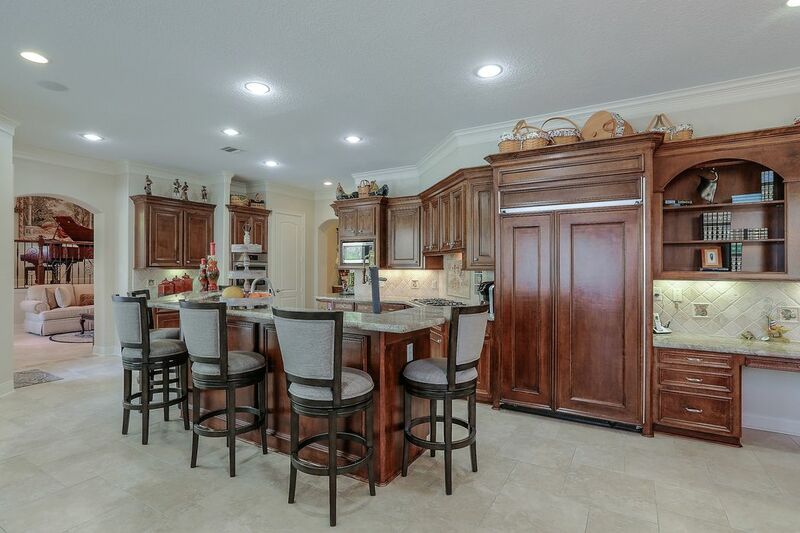 Chefs kitchen boasts granite, stainless steel appliances, and huge island kitchen. 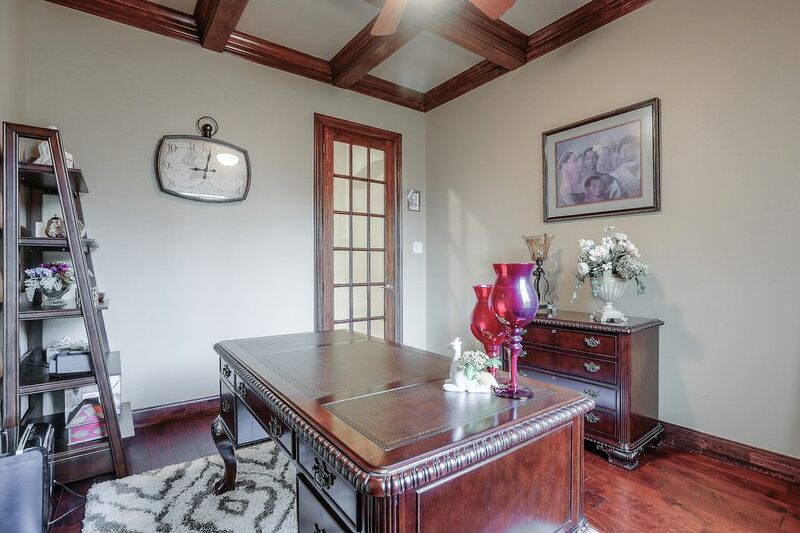 Cozy study with hardwoods is located on the first level. 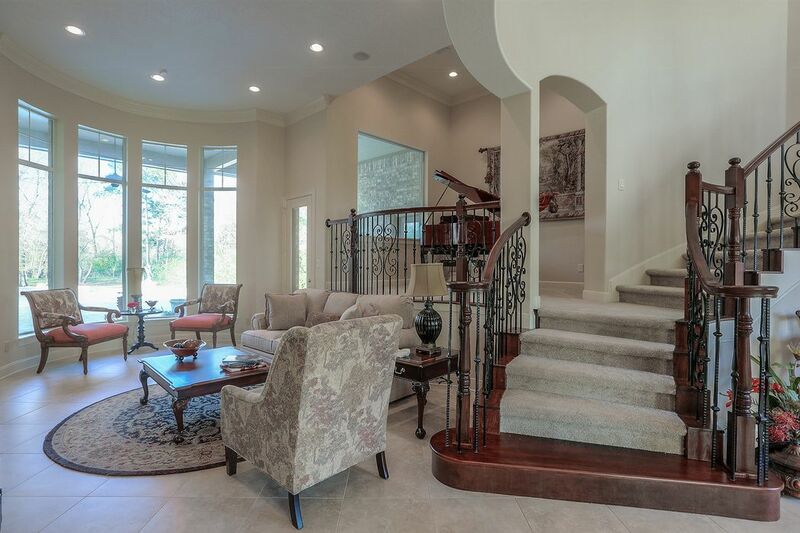 This home has double staircases. 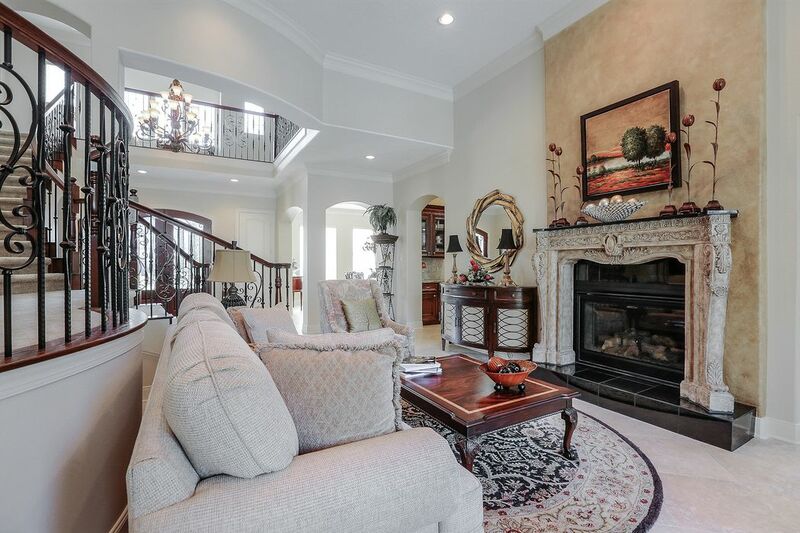 High ceilings and custom gas log fireplace in this formal living. 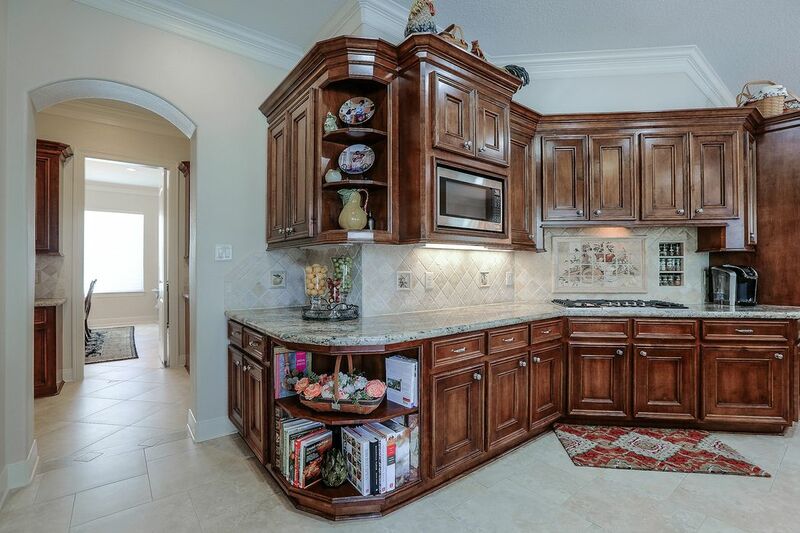 Fine details in the cabinetry and mouldings throughout this home. 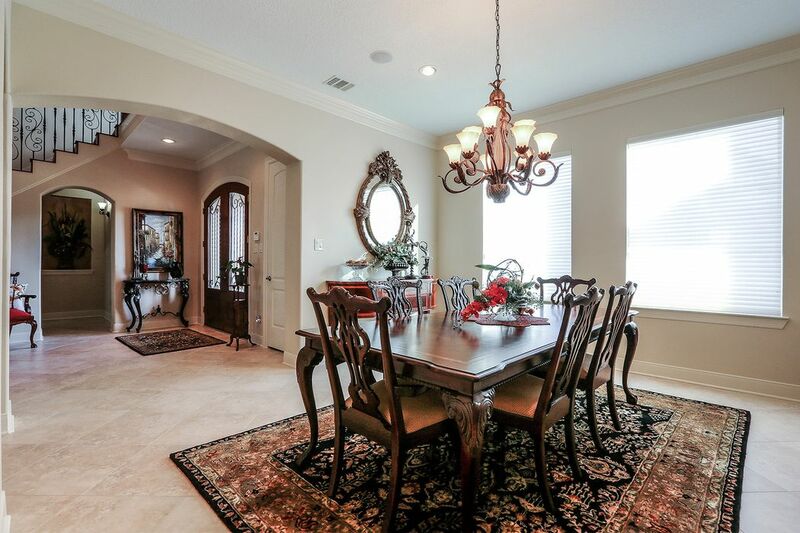 Kitchen, breakfast room, and family room flow together. Breakfast nook with large window. 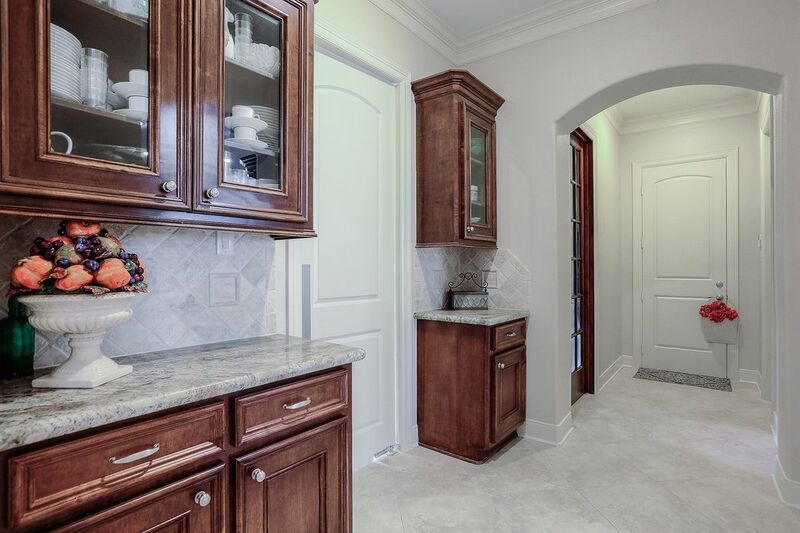 More storage located outside of the kitchen and formal dining room. 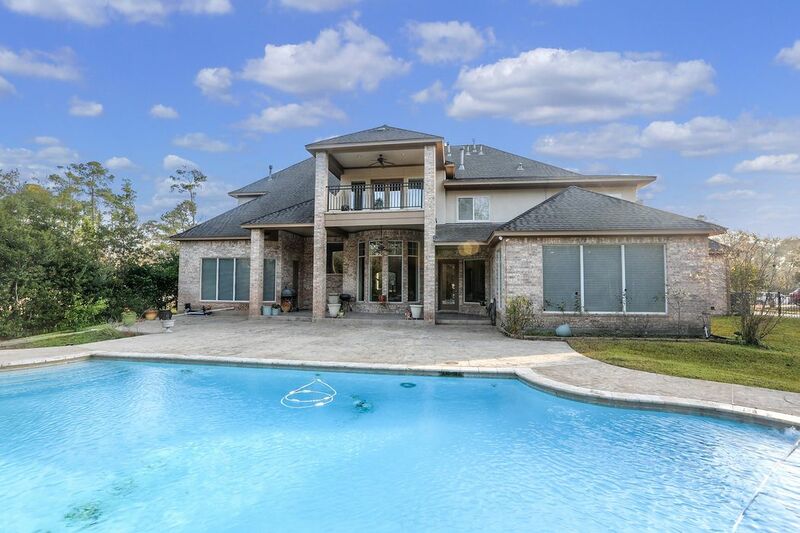 Family room has custom built ins and is located in the back of the home with a view of the pool. 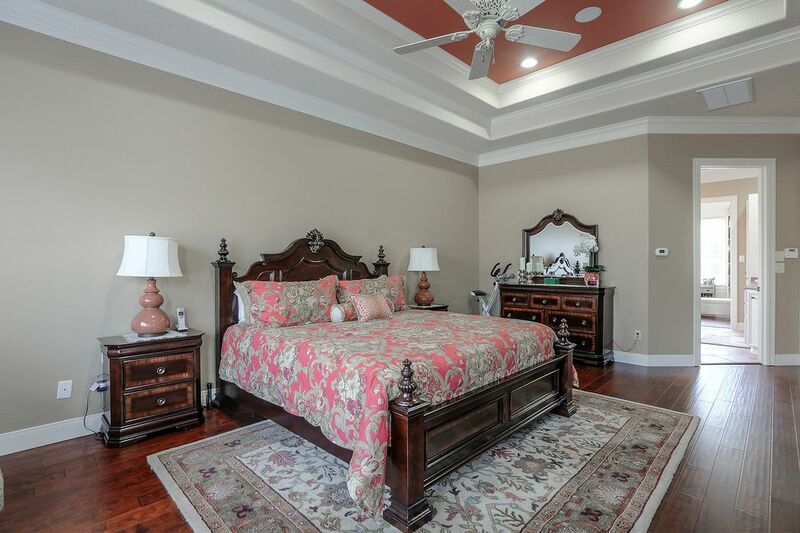 Hardwood floors and high ceilings in this grand master bedroom. 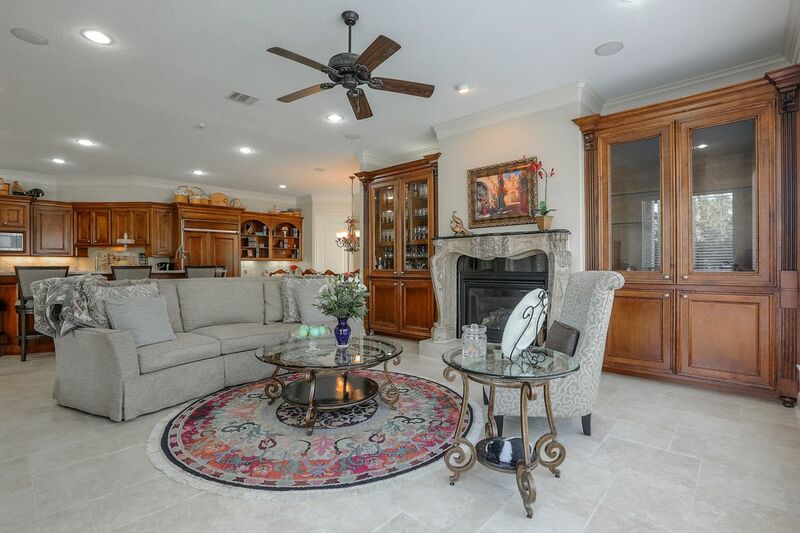 Check out the details in the ceiling. 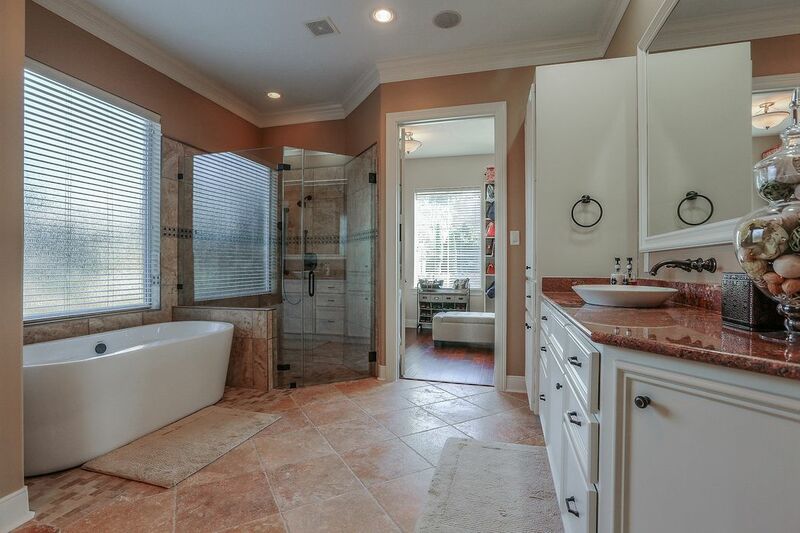 You will not want to leave the master bathroom. 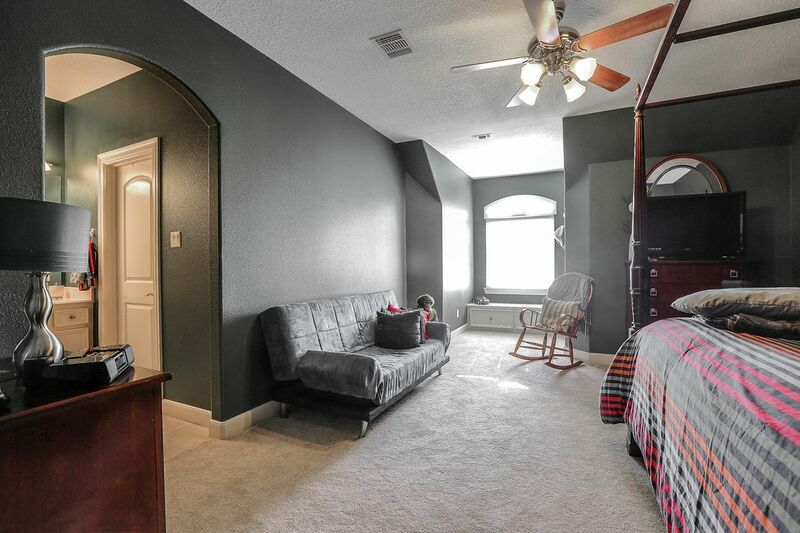 Master closet has custom built ins and plenty of space! 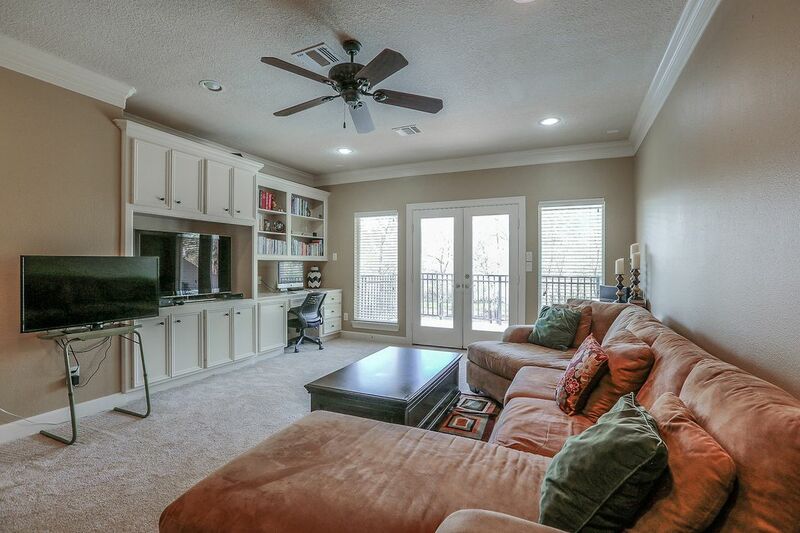 Custom built ins in the 2nd level game room. Bedroom #2 with private bathroom and balcony. Bedroom #3 with private bathroom. 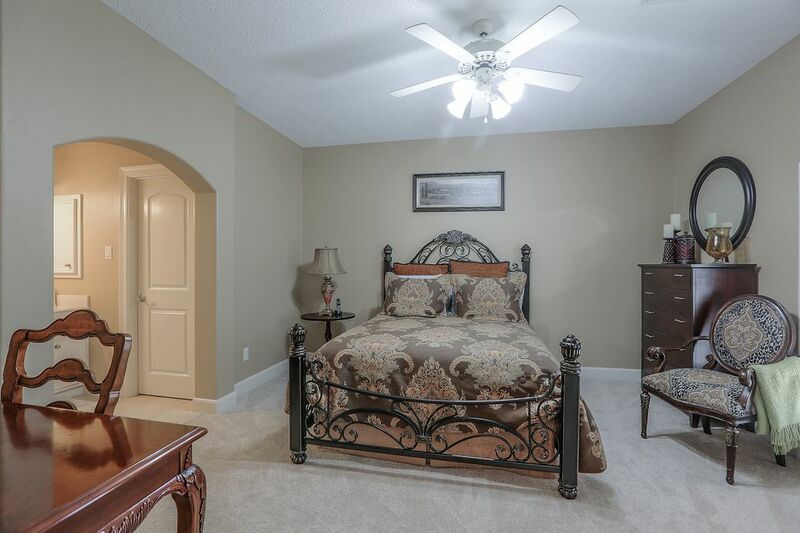 All bedrooms feature a walk in closet. Bedroom #4 with private bathroom. 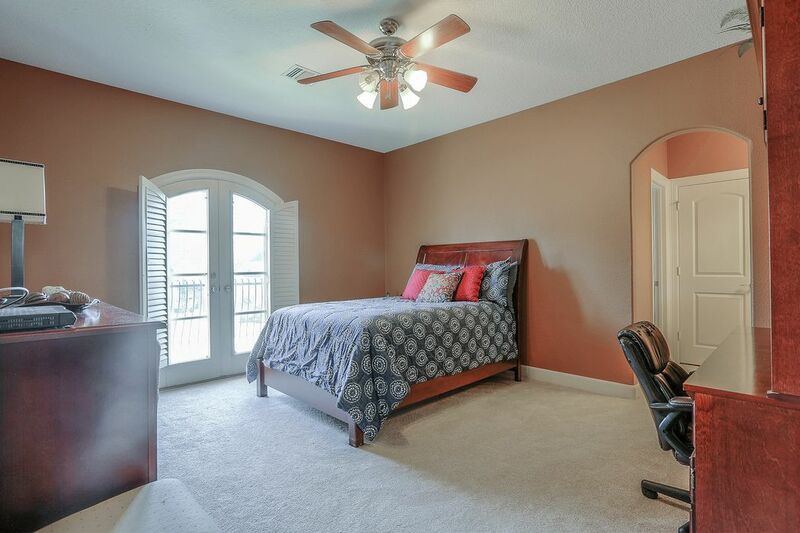 These bedrooms are LARGE! Bedroom #5 with private bath. 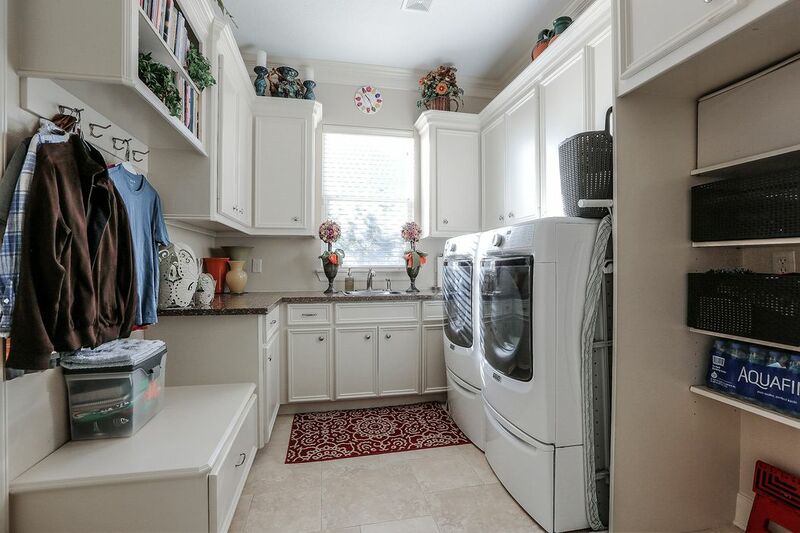 Nice sized laundry room with sink and plenty of storage. 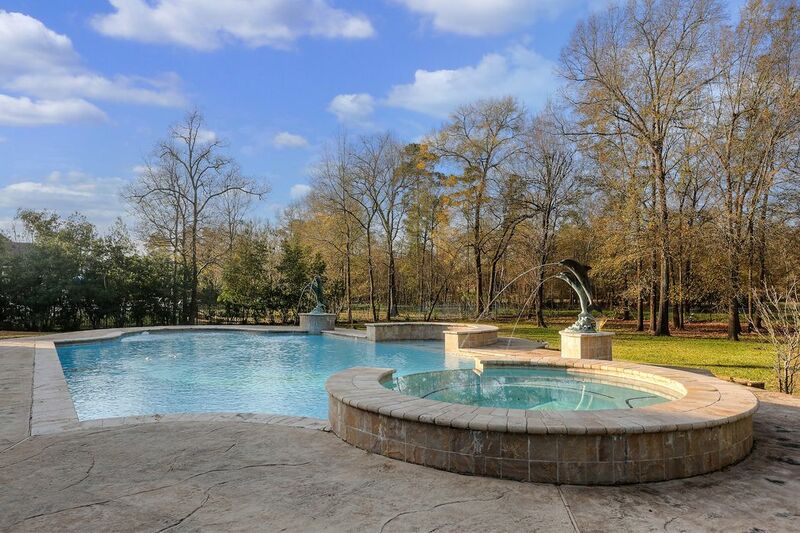 Massive pool and tons of privacy. 2nd story balcony off of the game room. 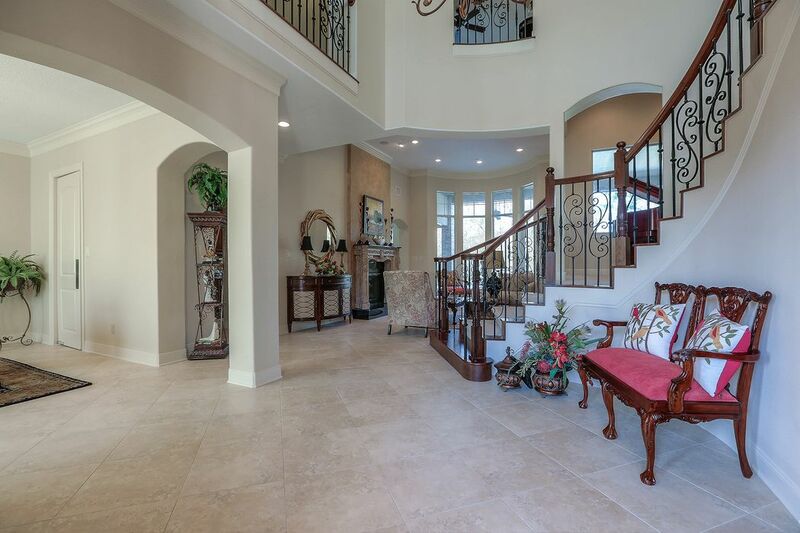 Exquisite custom home in the gated community of Kings River Estates. 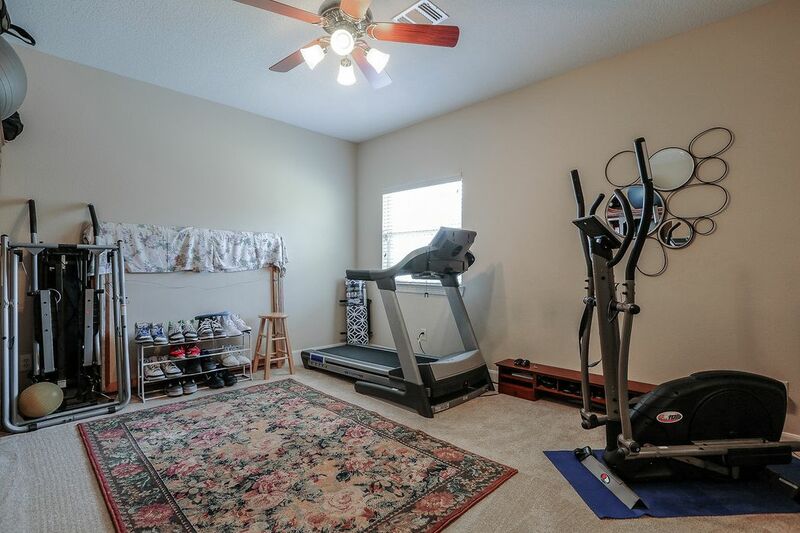 Game room, study, formal living room, dining room, 5 bedrooms, 3-car garage, flex room currently used as an exercise room and piano room. 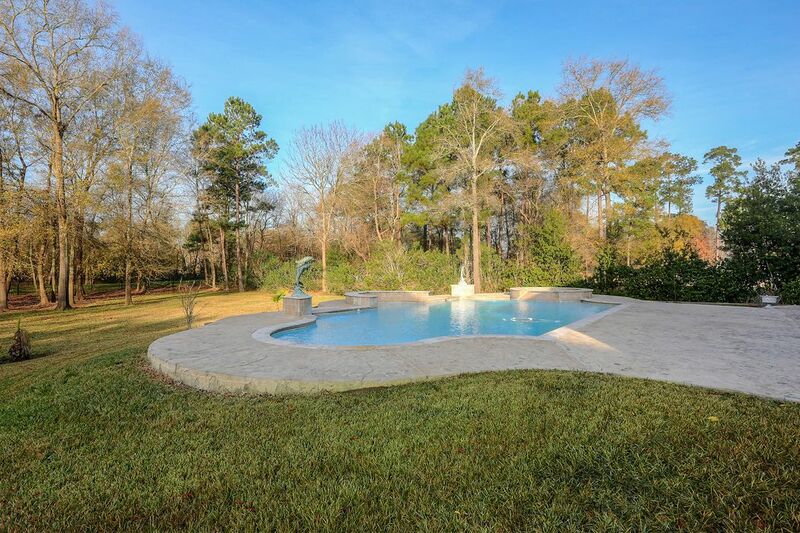 Located on almost an acre and backing to the a the ninety-ninth hole of the Atascosita Golf Club Course. 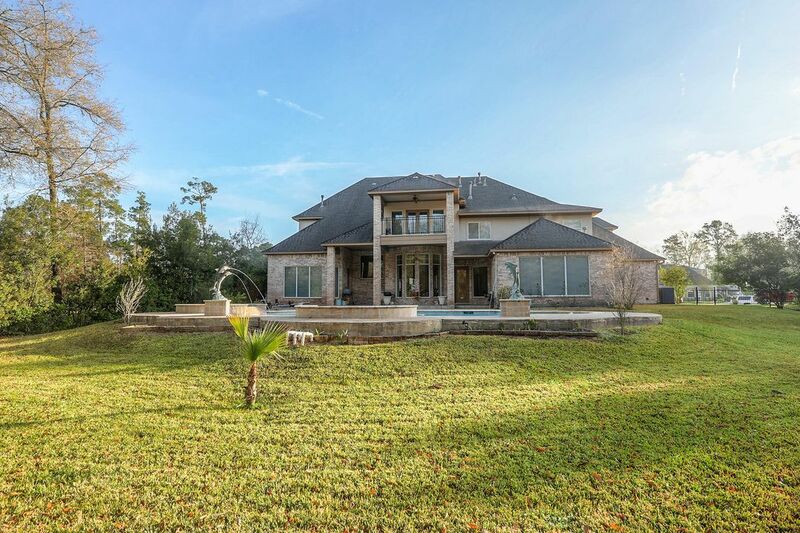 This home boasts 5 bedrooms, each with an en suite bath. 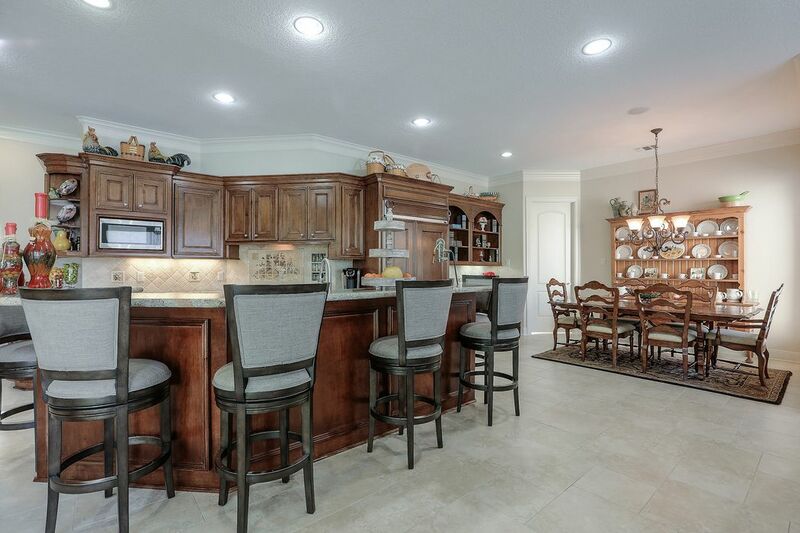 The gourmet island kitchen is open to the family room and features a Sub-Zero refrigerator, granite countertops, stainless steel appliances, double ovens and gas cooktop. 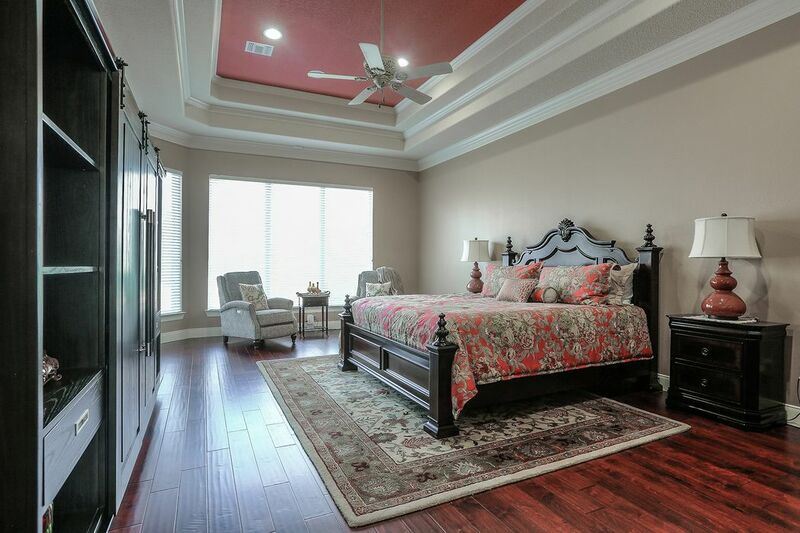 Massive master bedroom with stunning built-ins in the closet. 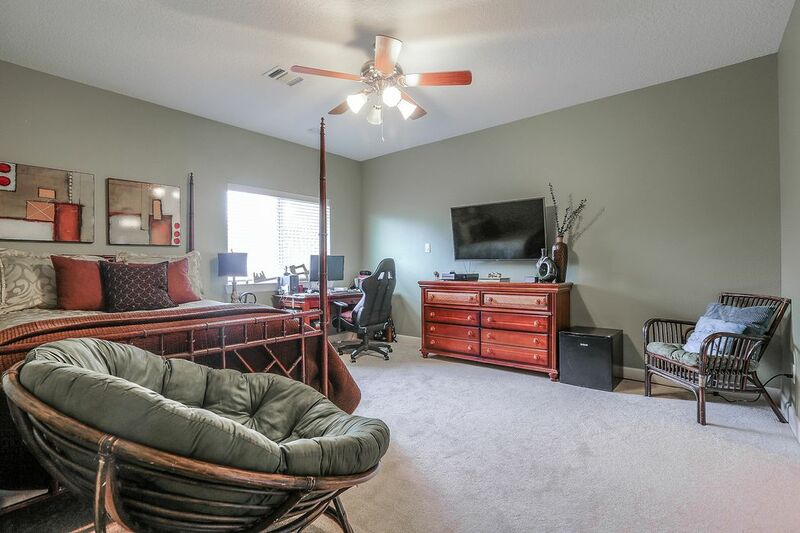 Spacious game room up with second story patio overlooking the golf course and yard. 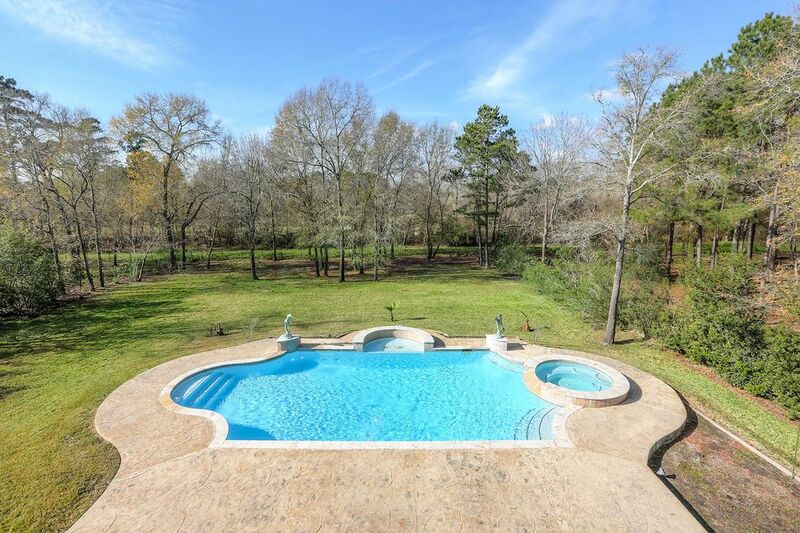 Massive backyard with sparkling pool and hot tub leaves plenty of space for play. Sprinkler system.